Neon Retro Ski Party, Wednesday, January 30th! 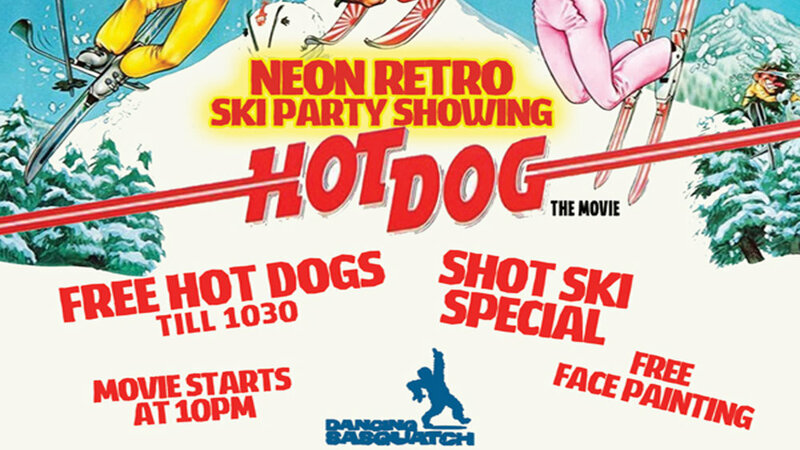 Squatch is showing the classic ‘Hot Dog-The Movie’ (starts at 10pm) with FREE HOT DOGS til 10:30! Free neon face painting, shot ski specials & more drink deals!